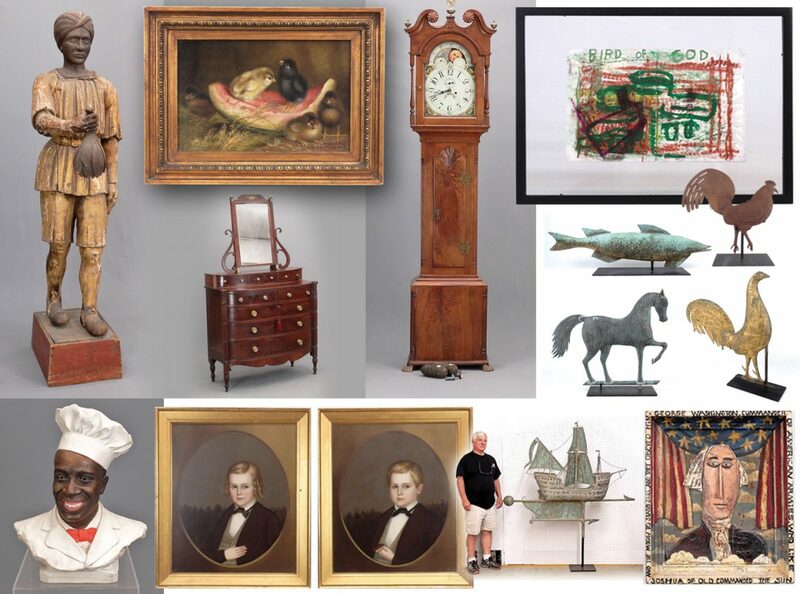 New Year’s Day 2018 Post Sale – COPAKE AUCTION INC.
On January 1, 2018 Copake Auction held their premier Americana auction of the year, the 38th Annual New Year’s Day Auction. The oldest auction house still in operation in the Hudson Valley, Copake Auction was purchased by Michael Fallon in 1986 and the annual New Year’s Day auction has continued successfully to this day featuring estate fresh 18th and 19th century furniture, artwork, folk art, period accessories, china, glass, stoneware, primitives & more. 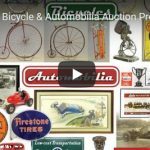 Known internationally for their annual antique and classic bicycle auction which boasts the highest attendance of the year, the New Year’s Day auction also draws a full house and is generally the highest grossing auction of the year for the firm. This year was no exception to the trend. After selling a selection of donated items for St. Jude Children’s Hospital to a full house, lot 1 sparked the fire with a Ben Austrian (Penna./FLA. 1870-1921) oil painting fetching $5,900. In short time lot 5 a 19th c. cigar store wooden Turk figure from Salem Mass. 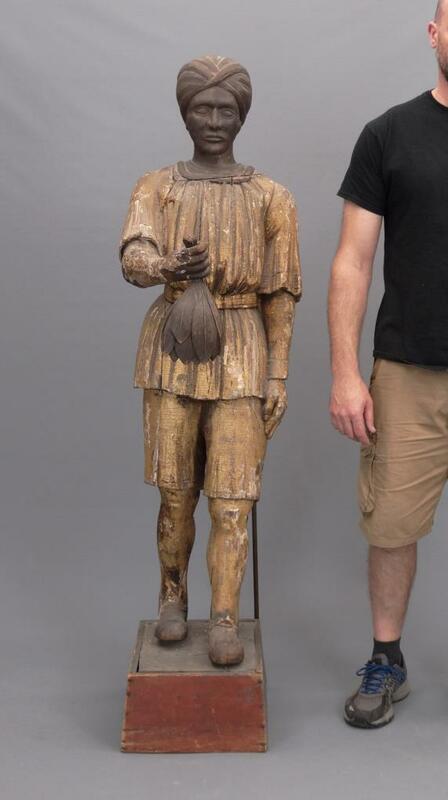 standing 66” in height closed right within the $10-15k estimate at $12,980. 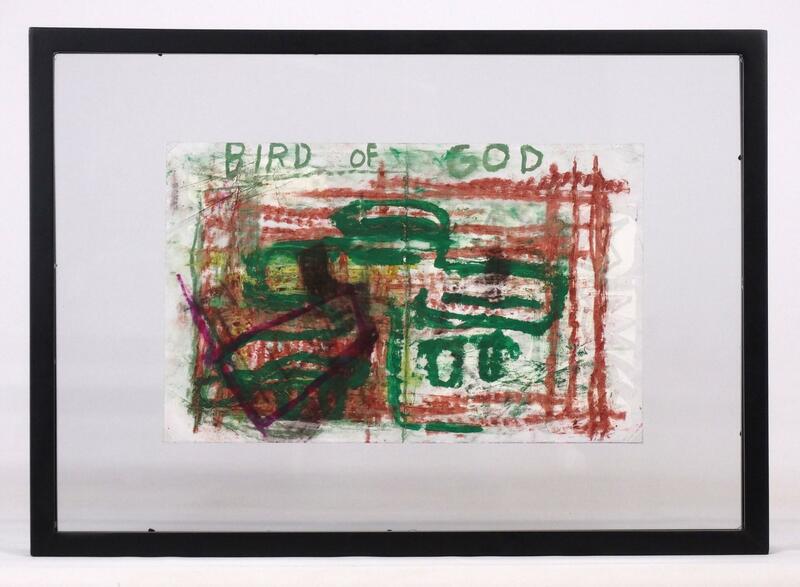 Coming from a NYC collector, the highly anticipated lot 40 Jean Michel-Basquiat (1960-1988), “BIRD OF GOD” work brought fast paced internet bidding (on several platforms) against multiple phone lines eventually seeing a modest hammer price of $12,980. While Mike and Seth Fallon see less furniture than in days past and more fine art, folk art and decorative items, the following lot 41 a 19th c. Thomas Seymour dressing chest hammered down at a respectable $4,425. The sale offered 39 weathervanes, from sheet metal banners or a fish fetching a few hundred dollars, a horse, cow, quill, dog, rooster or even a scarce Duesenburg car for a few thousand dollars, all the way up to lot 67 a 29” long pig weathervane for $9,145. Auctioneers Michael and his son Seth generally sell anywhere between 120-150 lots per hour for their regular monthly estate sales. A somewhat slower pace of 85 lots per hour was set for New Year’s Day to accommodate the number of phone lines and internet bids competing with the full attendance of live bidders. With a total of 2,875 absentee and phone bids to manage and 2,126 registered bidders between all in house and internet platforms, the team in Copake show that a rural auction house can effectively use all modern technology has to offer and still host the locals, second home owners and dealers from near and far with fast paced bidding, catered refreshments and downright good country auction fun. Mike Fallon is even known to throw a joke in during changeover of clerks or crew generally prompting levity and genuine chuckles amongst the crowd, although sons Seth and Evan might be quick to comment, “don’t quit your day job dad”, both in good spirit and competition for more laughs. It wasn’t long before lot 73 an 18th c. New Hampshire, Dunlop School tiger maple highboy came across the block. 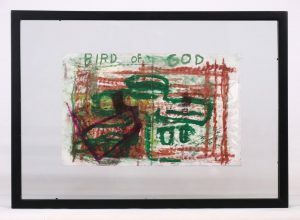 It exceeded the estimate of $2,500-3,000 selling for $4,130. A nice selection of early portraits were offered including lots 133A and 134A a portrait of a gentleman and portrait of mother and child both together realizing $14,160 for the pair. A series of historical documents were offered including signed pieces by Andrew Jackson, John Quincy Adams, Franklin Pierce, Benjamin Lincoln, and Martin Van Buren with lot 294 a James Monroe (1758-1831) signed letter to a friend as president bringing $2,478. Country smalls and decorative items were offered as well with lot 301A a 19th c. J & E Norton, Bennington 3 gallon crock with cobalt blue bird on branch selling for $1,298. The sale concluded with the Ex. Kraft Food, Morton Grove III Cream of Wheat advertising art collection. The 39 pieces represent an important era for illustration and art commissioned for advertising and totaled approximately $100,000 in sales. 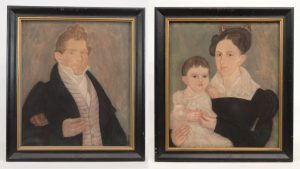 Over a third of the collection went to a Pennsylvania gallery against highly competitive bidding with individual pieces ranging from $1,062-$10,030. The top lots included lot 705 Leslie Thrasher (N.Y. 1889-1936) Tom Sawyer on box with young Rastus in background $10,030, and lot 706 Edward Vincent Brewer (MN./N.Y. 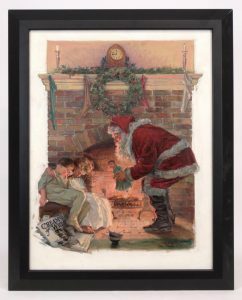 1883-1971), “Keeping Watch” featuring Santa Claus and children $10,030. A significant piece in the collection was lot 707 a plaster bust of iconic chef character “Rastus” also by Edward Vincent Brewer. The book “The Nabisco Brands Collection Of Cream Of Wheat / Advertising Art” (By Dave Stivers) which features many of the pieces in the collection explains the bust’s importance on page 63; “The Chef was prominently featured in many of the early Cream of Wheat advertisements. Until Brewer sculpted a bust of the chef, the popular character was depicted only full face. A three dimensional model allowed Brewer to paint the chef in a variety of poses”. Brewer was a commercial artist in the Norman Rockwell style who over fifteen years was credited with 102 Cream of Wheat ads.